The Maruti Suzuki Ciaz facelift registered 10,000 bookings in the first month of launch, while over 24,000 units were sold between April-September of FY2018-19. 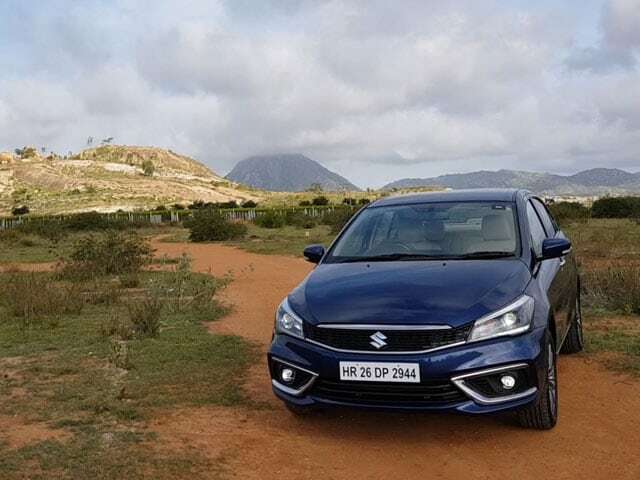 The Maruti Suzuki Ciaz has turned out to be the most-selling C-segment sedan in the country with over 24,000 units sold during the first half of 2018-2019 financial year. The Ciaz currently accounts for a 28.8 per cent market share in the segment which comprises products like the Honda City, Hyundai Verna, Toyota Yaris, Volkswagen Vento, Skoda Rapid and the likes. 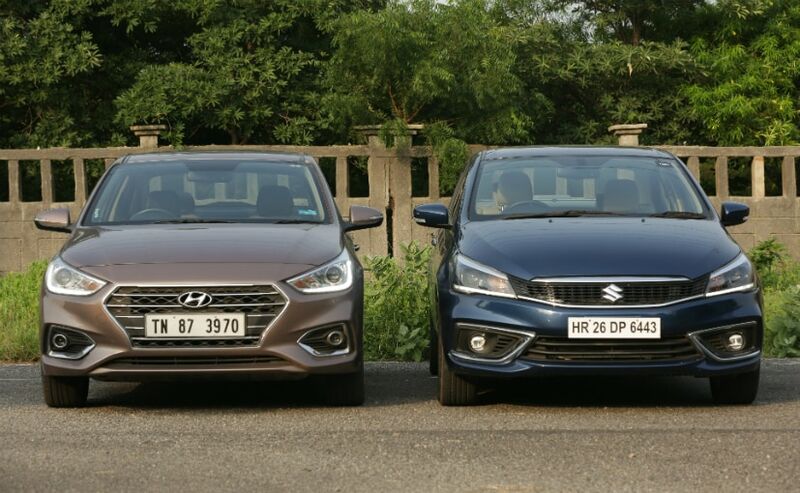 Adding to the growth momentum was the launch of the Maruti Suzuki Ciaz facelift that arrived in August this year and registered over 10,000 bookings in the first month since the launch, the company announced in a statement. Commenting on the success of new Ciaz, Maruti Suzuki - Senior Executive Director, Marketing and Sales, R S Kalsi said "We are delighted with the response to the new Ciaz. Over 10,000 customers have booked the New Ciaz in the first month of its launch. The complete package of unmatched performance, bold looks, elite interiors, convenience of space and host of safety features clearly pulls the new Ciaz ahead of competition. Today, Ciaz is one of the most successful premium sedans in India. With a sale of over 24,000 units in the first half of this fiscal, Ciaz has taken the pole position in the A3+ segment this year so far. We are thankful to customers for their confidence and choice that reinforces our commitment to offer premium products." The Maruti Suzuki Ciaz averaged over 4000 units every month for past six months. In contrast the Hyundai Verna has been second most-selling model in the compact sedan segment with about 3600 units sold month-on-month, followed by the Honda City with a little over 3000 units sold every month between April and September this year. Since its launch in 2014, Maruti Suzuki has sold over 234,000 units of the Ciaz in the country. The company also revealed that the Nexa Blue colour on the sedan contributed over 25.5 per cent to the total sales in 2018-19, till now. The Maruti Suzuki Ciaz received its first comprehensive upgrade earlier this year sporting the revised styling including a new grille, headlamp cluster, as well as front and rear bumpers. The updated version also saw the sedan get new features including LED DRLs, cruise control, auto headlamp and levelling function and more. The beige themed cabin also received new faux wood inserts and new upholsery for the seats. The big update on the Maruti Suzuki Ciaz facelift though has been the new 1.5-litre K-Series petrol engine. The new motor offers 13 per cent more power and 6 per cent more torque than the older 1.4-litre unit. The new petrol engine is tuned for 103 bhp and 138 Nm of peak torque., and gets the Smart Hybrid tech for improved efficiency and lower carbon emissions.